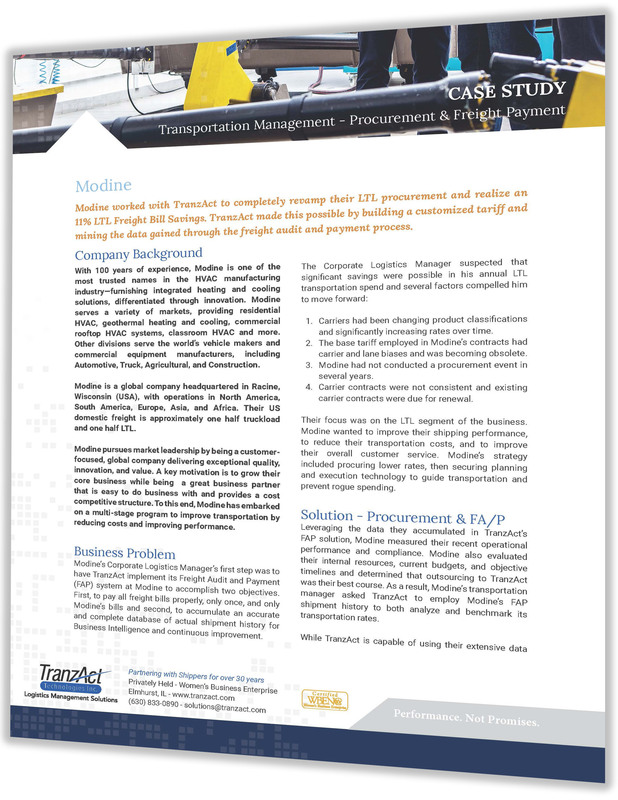 This case study shares insight about how Modine Manufacturing saved 11% on their LTL transportation costs, which equated to over $700k in annual savings. If you have any questions, please contact us at solutions@tranzact.com. * We never rent, sell, or otherwise exchange the information submitted to us.